Klamath County Sheriff’s say, deputies responded to a kidnapping at a home on the 2700 block of Summer Lane early Wednesday morning in Klamath Falls. A woman at the home identified as Desiree Paige, had been assaulted by an unknown man who kidnapped her 13-month-old son. When KCSO arrived, they found Brennan Scott Stone on top of neighbor’s home holding the baby. Stone was talking irrationally and threw a brick at both deputies and residents. Deputies were able to make their way onto the roof and talk Stone into handing over the baby unharmed. 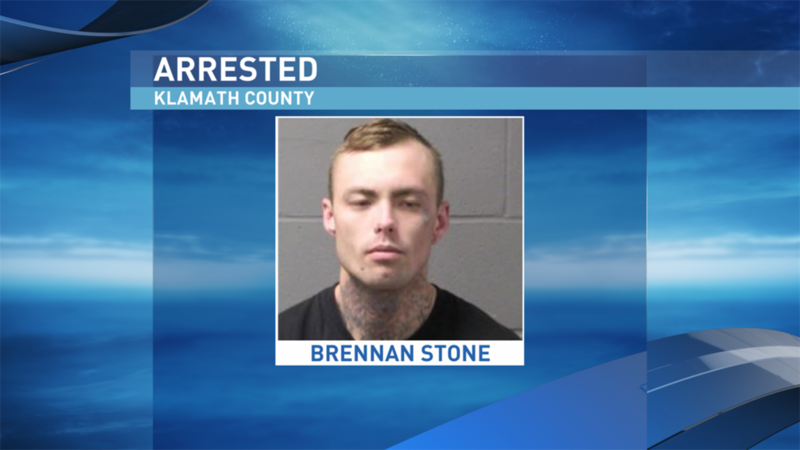 Stone was taken to the Klamath County Detention Center lodged on multiple charges including Attempted Murder, Kidnap First Degree, Assault in the First Degree and Unlawful Use of a Weapon. Stone is scheduled to be arraigned in court on Wednesday and testify in front of a Grand Jury next week.